Researchers trained a computer program to search through archived data to identify previously undetected __________ from an unknown source in a distant galaxy. Wolf 503b, an exoplanet twice the size of Earth was discovered by analyzing Kepler Space Telescope data of how it blocked __________ from its star. (A) the moon, completely within Earth's shadow. (B) the moon, completely illuminated by the sun. (C) the moon completely blocking the sun. (D) the sun, with part of it being blocked by the moon. (E) the sun, with no part of it being blocked by the moon. During a total lunar eclipse, the full moon will be completely within Earth's umbra, and would typically appear a very, very dark brown-red. "Something I find cool is that electrons literally emit light, heat, energy when they jump down a level on their energy orbitals, and that literally is how light is made from bioluminescence to chemical reactions we've done in a science class to a light bulb, that is how light literally is made." "I found the electron and photon rules interesting because it was something new to me and made me even more curious about chemistry." "When an element is given the right amount of energy, it can move the electrons to the outer circles." "I find the method in which the color of the chromosphere is made interesting. The fact that the lavender color of the chromosphere is made by essentially torturing hydrogen atoms is peculiar." "The corona is by far the most beautiful thing that I wish to witness during a solar eclipse. It is something I've always wanted to see." "That sunspots are several thousand degrees cooler then other parts of the sun. This was interesting because I never really thought of the Sun having spots that are far cooler then others"
"I found the granulation on the sun to be very interesting because I have always associated things in space to take a long time to occur but the book said they only last about 10-20 minutes and that they are about the size of Texas." "I found the part about the sun not being solid interesting. I guess I assumed there was a solid core so to hear it is gaseous all the way to the core is interesting." "I think the similarities between food and phenomenon make them easier to relate to." "I really like your lava lamp and miso sound references because it gives a visual representation of how the sun works! i'm a visual learner and this is great for me to learn it. I also love miso soup!" "'If light did not interact with matter, you would not be able to see these words. In fact, you would not exist, because, among other problems, photosynthesis would be impossible, and there would be no grass, wheat, bread, beef, cheeseburgers, or any other kind of food' (ASTRO3, page 85). This is interesting because it shows that if light did not interact with matter, cheeseburgers would not exist." "Something that I found a bit confusing was the energy levels with atoms, I could use a brief explanation on when an atom absorbs a photon or not." "Quantum leaps. How do you know that you are seeing an electron quantum leaping?" "The electron orbits and how exactly you get different colors from neon tubes. I am still a little confused on that." "Atoms, electrons, protons, etc. were all a bit confusing in general given how they were explained in a way that just didn't connect completely with me." "I'm not exactly sure how sunspots manifest. The sun cools down somehow?" "Everything was a little confusing to me. I've always struggled with chemistry." "Do you enjoy miso soup?" "Miso soup is really good, just saying." "How far down into the sun does the cooling gas need to go before it warms and rises again?" The following questions were asked on reading textbook chapters and previewing a presentation on energy conservation. "The work equation helps a lot when calculating forces and makes a lot of sense as long as you are able to break down which numbers you are supposed to plug into each variable in the equation." "That an object has higher potential energy when it is at a higher elevation. That there are two types of forces, conservative and non-conservative. For non-conservative force this relates to energy that cannot be regained, like energy loss due to friction on an object." "Gravitational potential energy will increase the higher the object is because the formula for this is mass times gravity times height. So the higher an object is and more it’s fighting with gravity thus the more potential gravitational energy. Mechanical energy is the sum of potential and kinetic energy." "Weight force of Earth on an object is a conservative force, does work AGAINST an object, removes energy, is able to store the energy, and return it to the object by later doing work on the object. Work against an object removes energy. kg·m2/s2 = joules." "What made sense to me from the presentation preview was the two conservative energies and how work done by those two forces can be stored or later removed without loss. With respect to gravitational potential energy, I understood that an object higher in elevation had more potential energy than an object on the ground." "It's more important to look for the change of an energy rather than just the energy." "It seems easier to work out the equations using the final minus initial method." 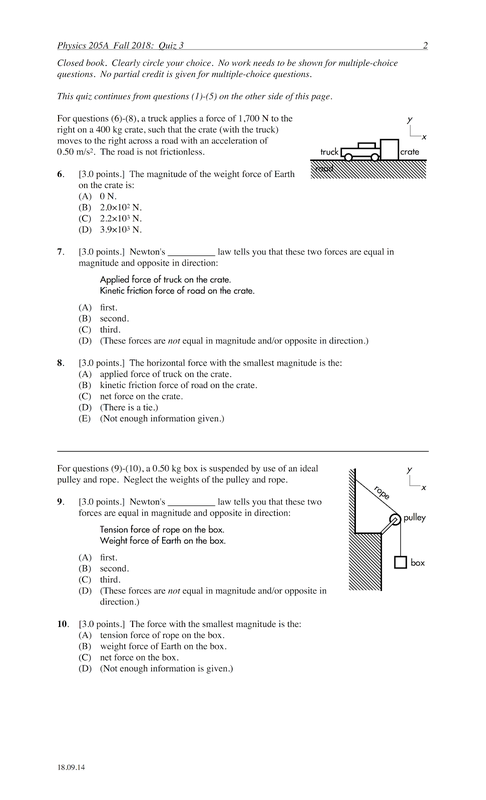 "Gravitational potential energy and the change in gravitational potential energy. I also understood balancing equations which is kind of similar like in chemistry." "There are two (so far) types of 'stored' energy, elastic and gravitational. in an ideal environment, energy is 'conserved' because it is not lost in work (done by non-conservative forces)." "A conservative force is one that doesn't matter the path of the object it would still end up in the same place with the same amount of work." "Conservative forces are those that are exerted on or against and objects, removing its energy and storing it for use to do work on the object at a later time, unlike non-conservative forces where the energy against an object is lost or irreversibly converted to non-mechanical forms." "I think I understand the difference between conservative and non-conservative forces pretty well. Conservative forces can be retained and returned, for example, if someone were jumping on a trampoline, when they come down for a jump, the trampoline acts against the person and slows them down to a stop, but that energy that was working against the person is later returned as the trampoline pushes the person back up into the air and the energy lost is returned." "I found the work-energy theorem kind of confusing and would just need some more practice problems on them to fully understand it. We got a brief introduction to it last class, but it didn't stick all too well." "I don't understand how to calculate these different types of energies." "I understood most of this content well, but I would like to work through some example problems." "I understand this material pretty well." "Elastic potential energy. I am just confused by the spring strength and the stretch/crunch terms." "What I do not understand is how gravity is a conservative energy. Isn't it acting on an object all the time so how can it be conservative?" "Honestly the algebra of rearranging the equations tripped me up for a good 20-25 minutes. 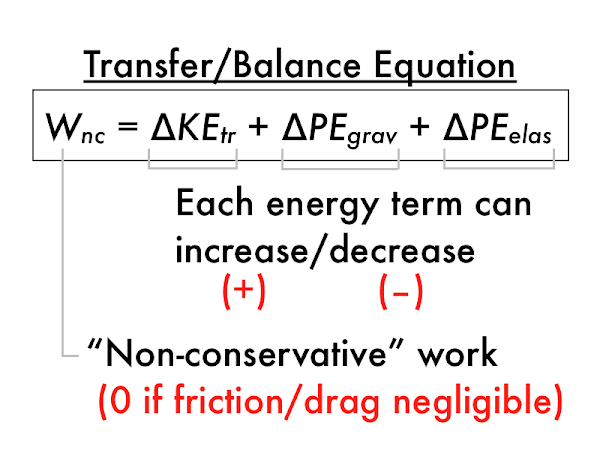 Also the differences in equations for conservative versus non-conservative forces." "I found it difficult understanding what conservative and non-conservative forces mean; (I'm not sure if what I understand is correct)." "Whether friction would be a conservative force or not." "I was a little confused when I first read that an object has zero gravitational potential energy when it is on the ground and at higher elevations it has more and more. I was thinking of it backwards and now understand." For the woman moving upwards after being catapulted, her translational kinetic energy __________ while her gravitational potential energy __________. For the ball bearing being launched by the slingshot, its translational kinetic energy __________ while the elastic potential energy of the slingshot bands __________. "The cat in the 'curling cat' video is amazing!" 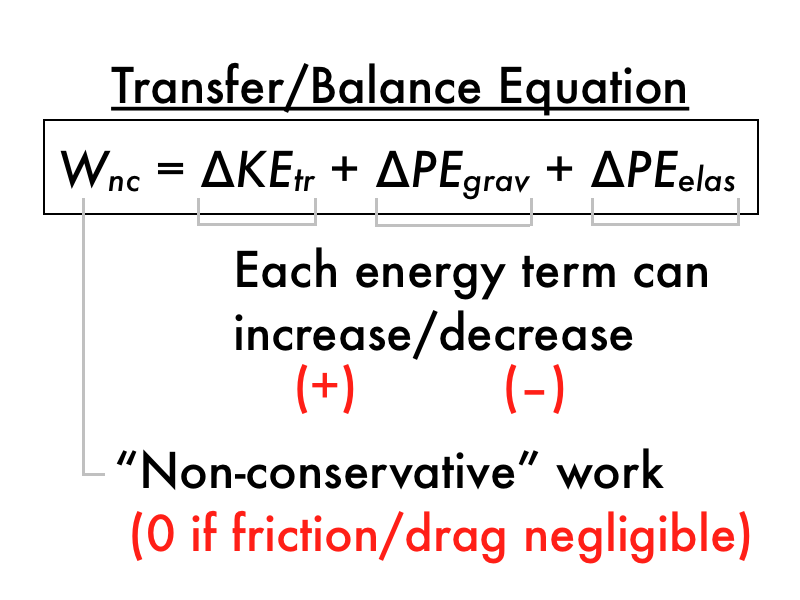 "I would benefit from some clarification of these examples of increasing and decreasing forms of energy." "How to plug in information for the equations?" "I need more time to read this section." "The sunspots on the sun's surface." "Something I found interesting about the reading was quantum mechanics." "Over all the years of seeing neon signs and having them draw me in, never once did I look and actually ask myself, How do these colors come about? I always thought it was the tubing that gave it off. It never occurred to me that it might be a reaction of energy and gas happening in there." "The movement of heat energy in the different parts of the sun." "During a total solar eclipse you can see the lavender color in the chromosphere." "One of the things that I found interesting was the Egyptians way to represent the sun. I found it cool how they compared it to fire-spitting cobras"
"I thought that the different atmospheres were interesting because it kind of reminded me of the different zones in the ocean." "I'm kind of surprised and at the same time fascinated at this section. I thought astronomy only related to things seen in the sky. But I never thought we'd be getting so deep into the atomic makeup of differing objects. I didn't even know temperature had such a complex yet simple explanation! I'm just interested with how complex the things are that we perceive as so simple at first glance." "The slide showing the magnetic poles was interesting. It reminded me of the Magnetic Drawboard that is made for kids to draw on." "If it's dangerous to look at the sun through a telescope, how do they make observations of the sun?" "But just as confusing is quantum mechanics, I'm actually really into this stuff even if I have a hard time understanding sometimes. I've looked into the particle accelerator in Europe and it’s caught my eye on trying to understand the way atoms work"
"I found the layers of the sun to be a little confusing." "The chromosphere and the corona"
"How are sunspots magnetic regions?" "The parts about the atoms seemed to be confusing. Was not sure about how photons move. " "What was confusing for me was that why are sun spots only are temporary." "Everything atom-related just have never made sense to me even when I took chemistry in high school, it was a scary topic." "I think I found the section discussing it in the textbook, but i think i need more clarification as to how the election energy orbitals work. And what they do with photons during their different states." "Chemistry. I am terrible at everything that has to do with chemistry. So I was pretty lost on that presentation." "I enjoyed reading about the atoms and particles it was good review and it was cool to re learn things from middle school." "There is just something about the texture of chunks of tofu and the seaweed going down my throat that I do not enjoy." "I've had good and bad miso soup but mostly good." "What does miso soup taste like? Do you like it? I've never tried it (thus explaining my neutral stand on the previous question)." ""Miso soup is amazing you throw some chili oil up in there for a twist and ooh wee, sensational. I hope this is on here because you're considering treating us today, Dr. Len." " this class is starting to get hard." "I would really like to do more example questions that we will be seeing on the midterm!" "I have no questions at this time." or to two significant figures, v0y = –19 m/s. (B) some value between 0 m/s and 5.5 m/s. (D) some value greater than 5.5 m/s. 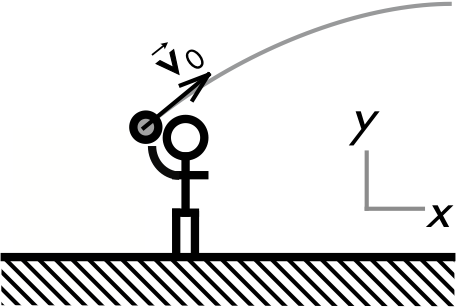 For the ideal case of projectile motion where air resistance is negligible, the vertical component of the ball's velocity continuously changes (due to the downwards vertical acceleration due to gravity), while the horizontal component of the ball's velocity remains constant (due to there being no horizontal acceleration). (B) some value between 0 m/s and 4.2 m/s. (D) some value greater than 4.2 m/s. The horizontal component of the ball's velocity never changes, while the vertical component of the ball's velocity is changing: as it moves upwards before reaching its highest point, the ball's vertical velocity component points upwards; while at the moment it is at the highest point in its trajectory, the vertical component of the ball's velocity is zero; and as it moves downwards after reaching the highest point, the vertical component of the ball's velocity points downwards. Neglect air resistance. From being launched to reaching the highest height of its trajectory, the basketball's distance traveled will be __________ the magnitude of its displacement. 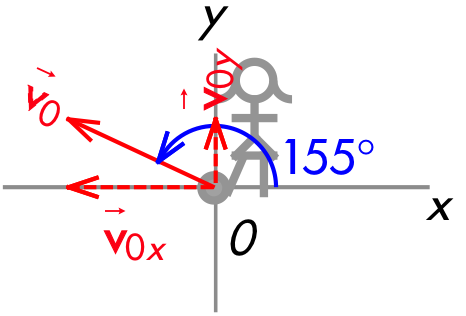 For projectile motion, the distance traveled is measured along its curved trajectory, and is longer than the magnitude of the displacement, which is the length of the straight-line vector that starts from the release point, and ends at the highest point of its trajectory. Applied force of truck on the crate. Kinetic friction force of road on the crate. 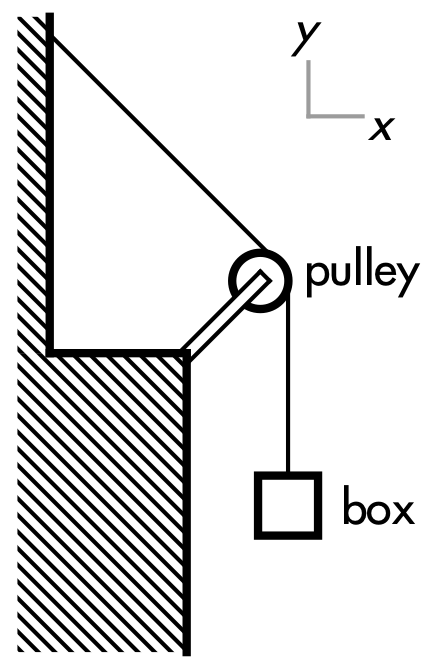 Weight force of Earth on crate (downwards). Normal force of road on crate (upwards). Because the crate has no vertical motion, these vertical two forces must be equal in magnitude and opposite in direction, due to Newton's first law, such that these two forces produce a vertical net force of zero. Applied force of truck on the crate (1,700 N to the right). 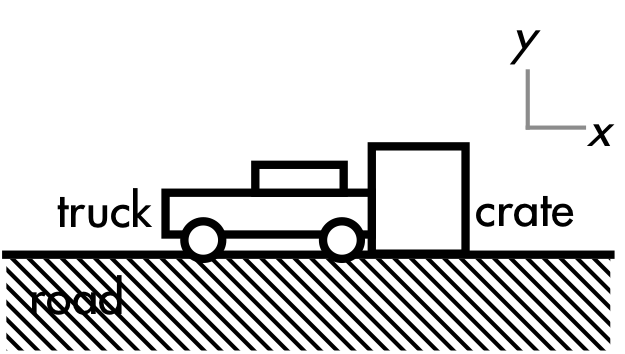 Kinetic friction force of road on the crate (to the left, against the direction of motion). Because the crate is accelerating (to the right), then from Newton's second law (as its motion is changing, and not constant) these two horizontal forces do not cancel out, and must sum to a horizontal net force that points in the direction of acceleration. Thus the applied force of truck on the crate is opposite in direction to, but is greater in magnitude than the kinetic friction force of road on the crate. Tension force of rope on the box. Weight force of Earth on the box. Tension force of rope on the box (upwards). Weight force of Earth on the box (mbox·g = 4.9 N, downwards). Since the box is stationary, then according to Newton's first law the forces acting on it must sum to a net force of zero, and the tension force must also have a magnitude of 4.9 N. Thus weight and tension force are equal in magnitude and opposite in direction due to Newton's first law. (A) tension force of rope on the box. (B) weight force of Earth on the box. (C) net force on the box. Since the box is stationary, then according to Newton's first law the forces acting on it must sum to a net force of zero, and the tension force must also have a magnitude of 4.9 N. Thus weight and tension force are tied for the having the greatest magnitude, and the net force on the elevator has the smallest magnitude (of zero). 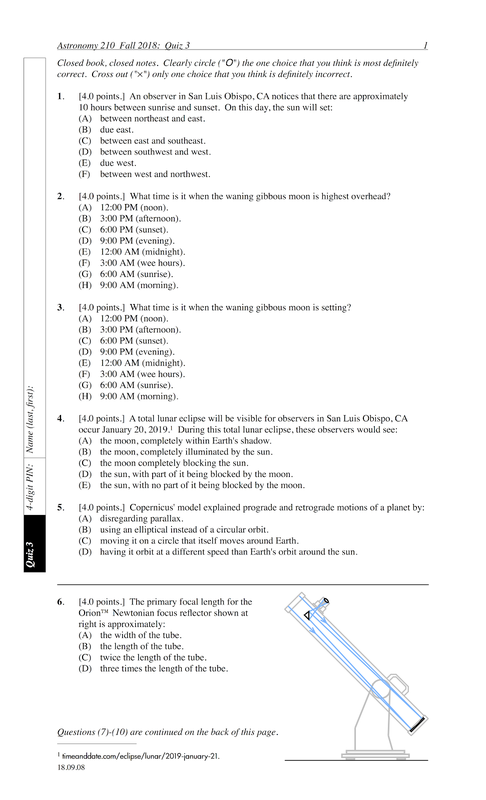 The following questions were asked on reading textbook chapters and previewing a presentation on work and energy. 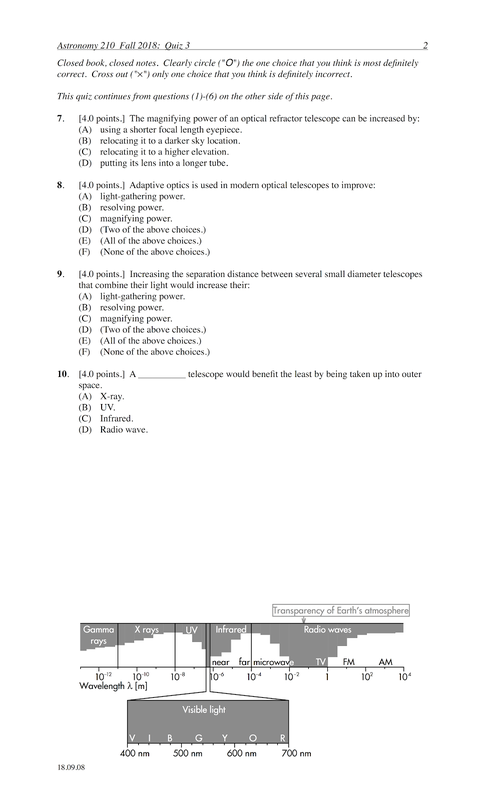 "Kinetic energy and the intial-to-final change in kinetic energy. I also understood the unit of joules and how kg·m2/s2 translates to joules." 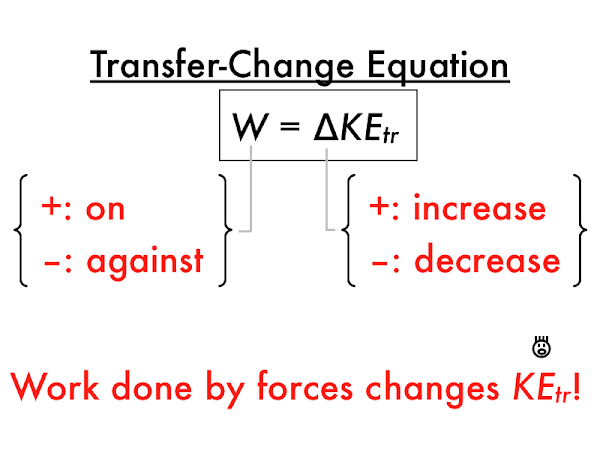 "The relationship between work and force and about the translational kinetic energy. I know that some forces go against force to decrease the kinetic energy and some forces go on it to increase kinetic energy." "That an object that is stationary has no translational kinetic energy, but the faster an object moves the higher the value of joules. 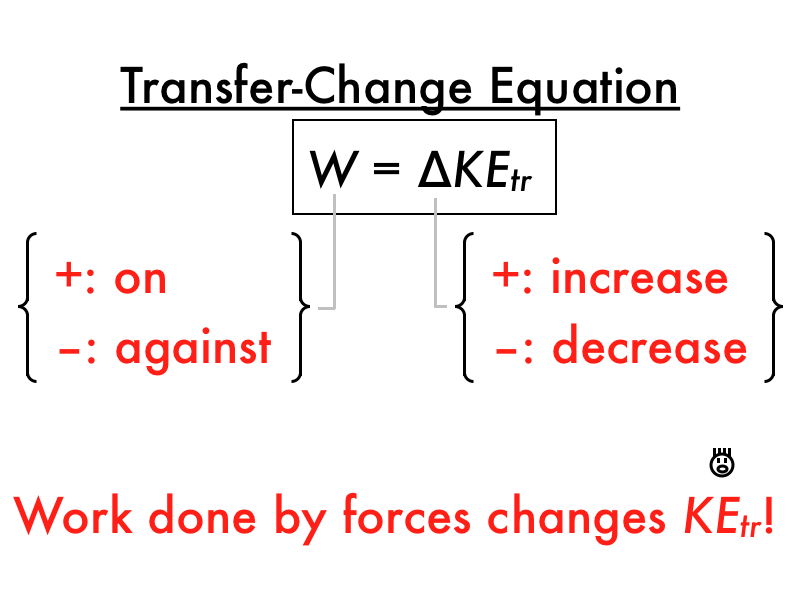 When work has a positive sign then that means that the force exerted ON (in the same direction) the object worked and the energy will increase, thus the change in energy will be (+). If the work is AGAINST (against is direction) the object then the resulting change in energy will be (–)." "If the displacement is zero than there is no work being produced because work = force times displacement, and if the displacement is zero than the answer is going to be zero. Also the force has to have some component along in the direction as the displacement or else once again there is no work being done on or against the object." "If a object doesn't move when force is applied to it, it hasn't done any work." "The relationship that work and kinetic energy have with each other. When work is being done on an object, the kinetic energy increases because the objects movement increases. When work is being done against an object, the kinetic energy decreases because the object slows down." "In the transfer-change equation, both sides of the equation have to have the same sign." "Work is equal to a relationship of force (at a given angle) times the displacement the object moves. If there is no displacement, there is no work." "To be fully honest this chapter is very confusing to me." "I don't really understand what is meant by tail-to-tail angle and why it is important when we measure work done on or against an object." "Connecting all of the components of the work-energy theorem." "I was a little confused about what translational kinetic energy is. I was also a little confused about the calculation of work." "I kind of understood the work part of the reading. I need to see some more examples of calculating work done in class." "The cosθ part of W = (Fcosθ)·s confuses me. What do you mean by 'tail-to-tail?'" "I would like to do a few example problems just to get comfortable." "I found the majority of the 'work' concepts to be hard for me to grasp. For some reason it really confuses me and I may need a decent amount of explanation to understand the concept." Explain how the SI (Système International) unit for work is related to the SI unit for force. "The unit is joules which is the product of the force and displacement." "The joule is the SI unit for work and is defined as newton·meters." "Force is in newtons while work is in joules but, work equals newton times meters, that is, force times distance." For the catapulted squirrel, the bungee cord force does work __________ the squirrel, which __________ the squirrel's translational kinetic energy. For the braking car, the brakes do work __________ the car, which __________ the car's translational kinetic energy. For Mrs. P-dog being catapulted, the bungee cords do work __________ Mrs. P-dog, while the weight force does work __________ Mrs. P-dog. For Mrs. P-dog's translational kinetic energy to be increased while being catapulted, the amount of work from the bungee cords must be __________ the amount of work from the weight force. "I think I understand this material so I'm looking forward to doing some problems in class and a little clarification." The Murchison Widefield Array in Australia mapped radio signals of cosmic rays created by __________ in the Large and Small Magellanic Clouds. Astronomy current events question: habitability of watery exoplanets? Based on computer simulations, exoplanets with deep oceans may be habitable if __________ can be cycled between their atmospheres and oceans. 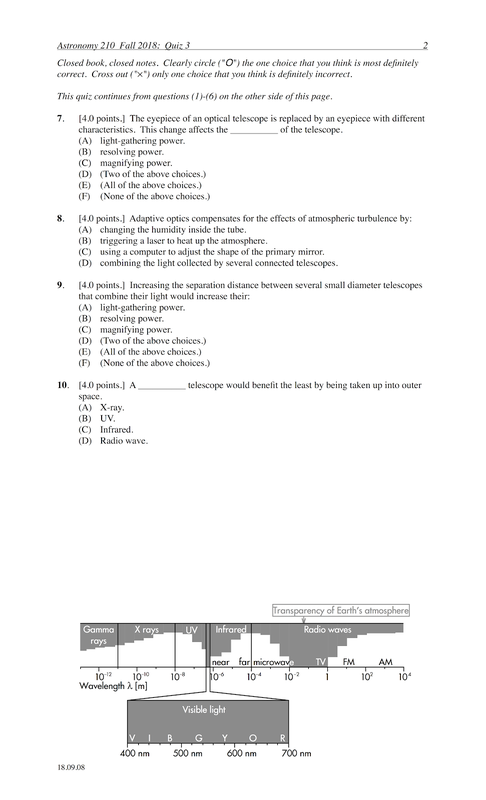 The following questions were asked on reading textbook chapters and previewing presentations on runaway planets (Venus and Mars), jovian planets (Jupiter, Saturn, Uranus and Neptune), and the dwarf planets (and the International Astronomy Union classification scheme). "It was fascinating to find out the similarities and differences between Venus, Mars, and Earth." "That Venus' atmosphere got so hot that it completely evaporated its oceans is so fascinating. We will never know for sure how much water was on Venus, but if it was anything like Earth's oceans, it's hard to fathom that much water just evaporating." "The Simpsons episode analogy with the gophers under the tennis court pavement helped me understand Venus' coronae much better." "Although Mars has fewer volcanoes than Earth and Venus, they tend to be a lot larger than the rest of the planets." "That Mars was a runaway planet very interesting because I never knew there were such things as runaway planets even more that Mars was one of them." "To learn that Mars has weather and (dead) volcanoes." "How insignificant plate tectonics are on other planets was interesting considering how impactful they are here on Earth." "With all the talk of Elon Musk's pursuit to colonize Mars, I'm interested if Mars has the ability to retain an atmosphere if we could somehow build one up. If so, how would we combat the loss of atmosphere at a different rate than Earth's." "That none of the jovian planets are dense enough to walk on. It's just a strange thought that a planet can be like that." "That Uranus rotates on its side, because that is unusual." 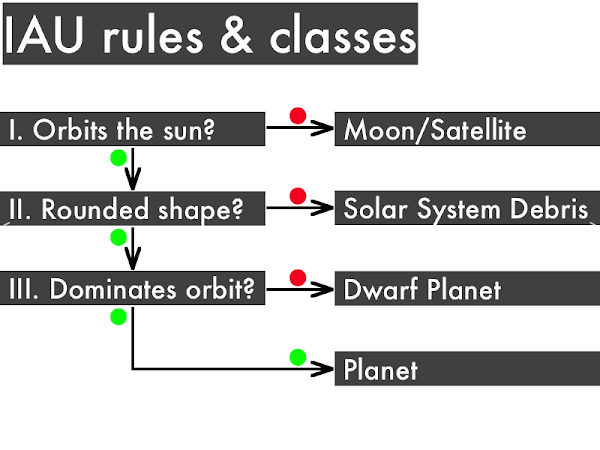 "How the IAU classifies planets. This is something I never knew about." "The classification questions for how we classify things in the solar system was interesting, I expected the qualifications to be a lot different like the questions seemed very broad." "I found the classification system for planets to be interesting simply because I had never really known why planets were considered planets in the first place. Having a frame of reference for why Pluto isn't a planet is something I've wondered about since I was a kid, but I never really looked into it." "I always thought that Pluto should be considered a planet without doing research on why it wouldn't be." "I just need further review on how mass and distance affect outgas, atmosphere density, and temperature depending on a specific planet's greenhouse factors." "I'm confused on why the runaway greenhouse effect ends up happening, especially with Venus." "Understanding the greenhouse gas effects on other planets was still a little confusing." "I didn't really get how the mass of the planet affects its atmosphere." "I'm only a bit confused about the Cooper Cooler™ effect because it seems like the rotation of the bottle would generate enough friction to counteract any speeding up of cooling that would be happening." "Why or how Uranus is cooler--I get that its rotation axis is related, but I am not fully following how that relates?" "What's the difference between dwarf planets and the planets that we usually discuss about?" "I still need to figure out a way to classify all of the planets." "Why Pluto isn't a planet any more and why it once was, but is no longer." Which jovian planet has the coolest interior temperatures? I believe Pluto should be a planet. "It does not meet all the criteria to be a planet. It does not dominate the orbit." "The classifications of being a planet are pretty clear...but it's Pluto so I'm going to stay neutral." "It seems like Pluto fits in perfectly with the description of the icy worlds that are out on the edge of the solar system and if those aren't in contempt for being planets, neither should Pluto." "Pluto should not be classified as a planet because it does not have enough mass to dominate its own orbit." "Our solar system moves through space at roughly 70,000 km/hr. If Pluto can keep up, she should be forgiven for her obscure orbit." "It is so far from the sun that since its discovery in 1930, it hasn't even finished a full revolution around it." "I honestly have no clue." "It was once classified as a planet so it deserves its title back." "I don't feel like I know enough to answer scientifically." "Pluto does not have the size to actually clear its orbital region of other objects." "No, it's a dwarf planet." "I disagree because it does not have a well-rounded shape and it doesn't dominate its orbit which are the questions that need to have an answer of yes in order to be a planet." "I think it should still be a planet even though it's not terrestrial or jovian. I think it should be a planet because it still has it's own moons and I would say they could classify as a 'dwarf planet.' (Still a planet, right?)" "It used to be a planet before researchers came up with some qualifications that Pluto didn't 'pass' in order to be consider a planet." "I do not know enough to be one way or the other, I did grow up with it being a planet and never fully understood why that changed." "I don't know either about Pluto to agree or disagree about it being a planet, but I'm excited to learn." "I am neutral on this because I do not know enough but Pluto isn't big enough and has a different orbit." "Pluto has a lot of the qualities that planets are suppose to have in order to be considered a planet. Pluto orbits around the sun, it has its own moons, however, it is smaller than the Earth's moon and isn't considered a "jovian or terrestrial planet. Those reasons make it very difficult to call Pluto a planet." "Pluto is not related to jovian or terrestrial planets. It is more likely a member of icy world family." "When I was growing up Pluto was a planet! I memorized the order of the planets by using the acronym: My Very Excited Mother Just Served Us Nine Pizzas. Without Pluto its just nine nothings. Pluto used to be a planet and it should still be a planet. Why take Pluto's title away! He has feelings too!" "I don't think it should be considered a planet because it is far too small and doesn't fit into the terrestrial or jovian planets. I think dwarf planets should just be considered a new categories of planet." "Pluto should not be considered a planet due to its irregular orbit and small size. It should be considered a dwarf planet." "I strongly agree because I see Pluto in a planet-like fashion because of its mass and volume." "Pluto should not be a planet because if it were there would be innumerable planets in the solar system unlike the main eight." "I was born at a time when Pluto was still considered a planet. At the time of discovery, Pluto meet the then accepted definition of a plant. In time, with all the new discoveries and advancements in astronomy, we have come to understand the universe and galaxy better. Pluto no longer meets the definition of planet. Then definition has evolved and so has our understand of the universe."